try the Light Roast Papua New Guinea, Dark Roast Demolition Blend, or Decaf Colombian...your first refill is free! flavored club soda - made to order! Availability changes daily, so be sure to ask about today's selection of muffins, cookies, cheesecake, cakes, brownies, pies, & puddings! 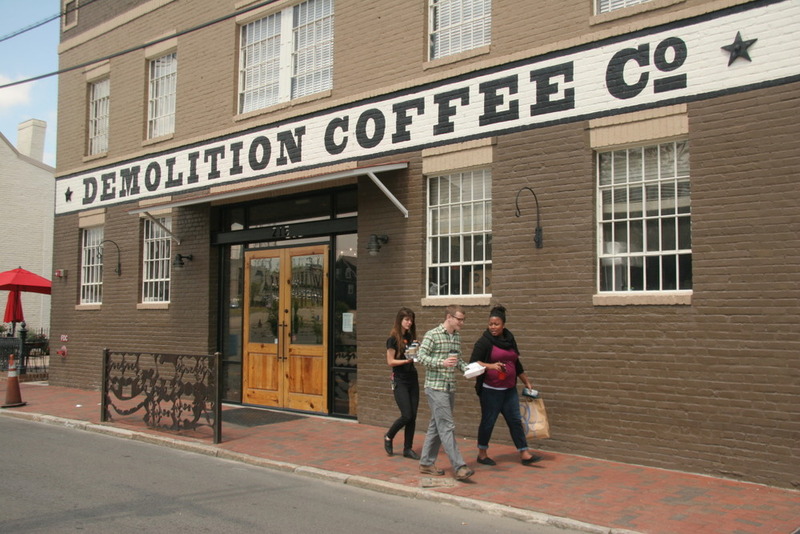 opened in 2009 in the formerly ruined shell of the Southern Express building in Old Town Petersburg. Independent and locally owned, we serve Richmond’s Lamplighter Coffee and baked goods from Buttermilk Bake Shop, just a few doors away.